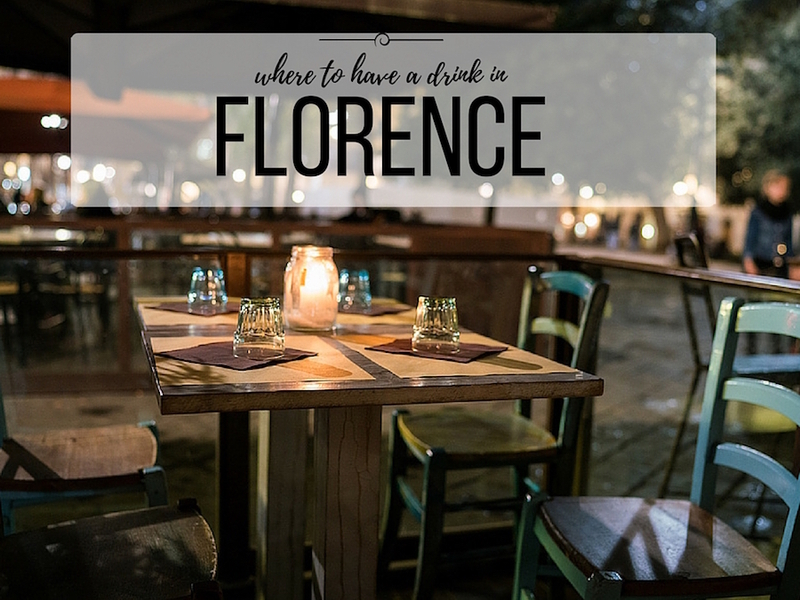 My list of nightlife venues in Florence could not be fully realized without options for chill wine bars and live music venues especially since, like me – many people are past the clubbing phase and just want a fun place to go out and have a few drinks to unwind after work. 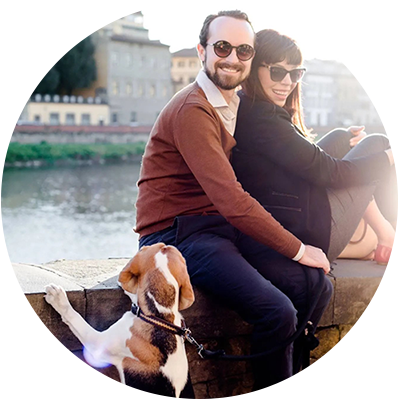 Luckily there really is a variety of local places for people of any age – from chill beer halls to trendy rooftop bars (as long as the city of Florence is fervantly trying to close them down), and even a few more secret locations that have cropped up in the past few years. One thing to keep in mind is that Italians don’t have the kind of ‘lets get drunk’ culture as we do in the states, but instead prefer to savor one or two cocktails on a night out, it wouldn’t be uncommon to go out with your Italian friends and them order pear juice. I am always on the lookout for a hip new place to have fun and unwind after a long week. Please let me know if I missed anything on this list with your comments. It’s always appreciated. 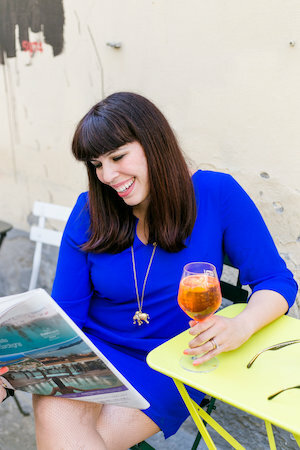 Also for those who want a local expert to guide (and drink) them to some of the best spots in town, I highly recommend the Curious Appetite aperitivo tour which I personally did and adored, we went from bubbles to craft cocktails and I know this would be a highlight for anyone’s Florence trip. Love Craft: The latest edition to the buzzing Borgo San Frediano is a whiskey bar (YES) owned by Gabriele Guazzini and Manuel Petretto, the name a homage to 20th century horror fiction writer, Howard Phillips Lovecraft. The space might be (very) small but their selection is impressive. Ask about their whiskey tasters (I tried three different ones the last time I was there). address: Borgo S. Frediano, 24/R. Open 6pm-2am daily. Vineria Sonora: This new wine bar is located in the ex-latteria along the main road heading up to Sant-Ambrosio’s church (in fact you’ll see that they kept the original sign). Inside the vibe is minimal, wine wine-lined walls and cool signage. There are just a few tables but the menu of wines available are extensive with the focus on natural wines (wine made with minimal chemical and technological intervention). Plenty of organic and biodynamic options as well. Enjoy the music and seasonal small bites that pair nicely with each glass. address: Via degli Alfani 39/r. Open Monday to Thursday 5-11pm, Friday to Sunday, 12pm-1am. You can reserve your spot here +39 055 3860191. Manifattura: One of the most superb new additions to the cocktail scene in Florence with notable bartender Fabiano Buffolini bringing back Italian drinks to the limelight for affordable prices (under 10€). The place for various takes on the classic negroni, interesting juice extractions served with gin or vodka or anything with vermouth: I love the retro decor too and vintage music playlist. We find ourselves here quite regularly. Well done guys! , address: Piazza di S. Pancrazio, 12pm-12am. Check out this review by Curious Appetite. Enoteca Vigna Nuova: This new wine bar is open every day from 12-Midnight (closed Tuesdays) and offers a wide range of wines (over 500) for your pleasure in the heart of Florence. I have yet to sit down and try a drink but I popped my head in and like what I see and friends have given positive feedback on their experience. Via dei Federighi, 3/R, 50123 Firenze FI. Gin Bar I Cinque Sensi is actually well known among the locals who live near Piazza Donatello and Piazza Liberta, this unassuming cafe by day turns into a gin bar by night as mixologist Fabio shows you what gin is really all about, at least his favorite versions. This has to be one of my favorite places in the city because you just don’t expect it, they also often have oysters and a small aperitivo buffet. address: Via Pier Capponi, 3. Open Monday-Friday. Gilo Piano Bar: Ever dreamt of a time of an Italy in the 60’s and 70’s when piano bars reigned king, as the music flowed you sipped icy fresh martinis and lounged in brightly decorated retro interiors. Dream no more, it indeed exists in one perfect bar-restaurant on Via dei Fossi 44r. Conveniently close to the station (but not in a dodgy area). A stiff martini adorned with an oyster served with a delightful selection of sushi, thus kicked off this Friday at @gilopianobar. All sass and class, this place is the dream of stylist and leather craftsman Gianfranco Lotti and Mario D’Onghia, top barman from Hotel Excelsior. Gilo is located on Via dei Fossi, tucked between fancy Via Tornabuoni and Santa Maria Novella. At around 9:30pm, live music from the resident piano players begin and inviting all who love music to join in, they have everything from jazz to swing dance, together with a curated kitchen or gourmet nibbles and drinks. I love that #YourFlorence has places like this. Bitter Bar: This hip spot in Sant’Ambrogio offers a vintage, classy bar ambiance with the background of jazz music. The best part, interesting cocktails make their home here, my favorite concoction is their “aglio, olio e peperoncino” cocktail with tequila and a spicy kick. Drinks range around 9-12€. address: Via di Mezzo, 28r, 50122 Firenze. Open Everyday but Sunday, 10pm-2am. La Cova | Tapas Bar Just Steps from Pitti. This popular location in Prato now comes to Florence as of December of last year, the trend of “tapas” has hit Florence especially in the Oltrarno area. What makes this place different is that it exactly showcases Spanish tapas done right, I loved my grilled peppers stuffed with cod and queso. Also they have a decent selections of drinks by the glass, this place rocks. address: Sdrucciolo de’ Pitti, 19. Open 7:30-10:30pm. Average drink around 7-8€. Ditta Artigianale Oltrarno is out newest addition in the oltrarno and while they might be known more for their coffee, they should be equally as known for their drinks. Now that they have barman Kareem, formally of Fusion, the drinks are absolutely phenomenal. I love pretty much anything he conjures up and often it’s quite creative: imagine saffron gin, blueberry compost, well worth the price of the drink, average 10€. address: via dello sprone 5r (close to piazza della passera). Looking for a fun place to put a nice dress and drink down a craft cocktail in style? My favorite #fancypants spot is definitely Irene Bistrot in the heart of Florence’s historical center, piazza della repubblica. The place itself is a people-watching dream and the bartenders whip up one of the best serendipity cocktails this girl has ever tried. Great for birthdays, special occasions or a girl’s night. Average cocktail around 15€. Mad Souls & Spirits is on borgo san frediano and is a brand new craft cocktail bar by Julian Biondi and Neri Fantechi which is probably apt to reach cult status in the coming months. Fancy it is not, but I can assure you of (affordable) quality cocktails that more than make up for any lack of ambiance. address: Borgo San Frediano 38/r Firenze +39 339 78 18 710. Average cocktail around 8-9€. Gurdulu might be more well known as a restaurant but come late-night it turns into one of the best cocktail bars for the well-heeled in the Santo Spirito area. Via delle Caldaie, 12-14R, 50125 Firenze FI. Go, enjoy, have fun, try a mezcal margarita. Sabor Cubano is probably one of my favorite places for a drink in town. Not fancy, but pretty cool with a Cuban feel serving up margaritas with black salt that consistently get the job done. 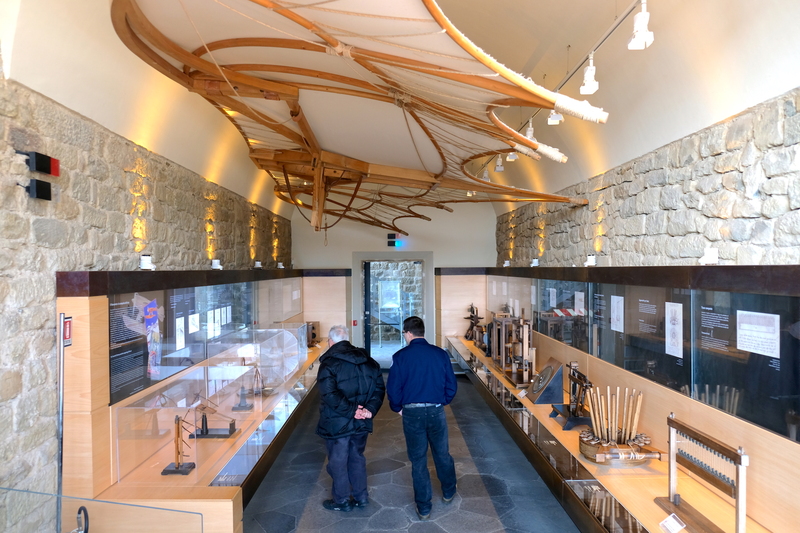 The interior is dark and not huge, but is nicely decorated. People also tend to spill out onto the street. Gets very popular on the weekend. address: Via Sant’Antonino, 64. Average cocktail 5€. Fusion Bar is local institution in Gallery Art Hotel, tucked nearby Ponte Vecchio. Some of the city’s best bartenders have worked or drank here and it continues to be a personal favorite for a rocking negroni, moscow mule and of course paired with their excellent sushi. address: Vicolo dell’Oro, 3. Average cocktail around 12€. Mayday bar – cool bar in the center close to the Duomo where you can find craft cocktails like pear, ginger & vodka. It’s one of my favorites and they are very consistent. address: Via Dante Alighieri 16, 50122 Firenze. Tel: 055 2381290 website. Average price around 8€. Gurdulu might be known more as a place for a nice meal, however it should also be known for a fantastic drink and some Italy-style tapas to match. The cocktails are superb by their sassy woman bartender who shakes her drinks better than Shakira. ;-). address: Via delle Caldaie, 12. Amble is a cool little bar in a hidden square just behind Ponte Vecchio, the locals love it, everyone else loves it, and they have great prices for cocktails including a ‘carrot spritz’ and moscow mules. address: Chiasso dei del Bene. Classic Bar near Santa Maria Novella | Looking for a sophisticated location & the clientele to match? Head over to the historic Harry’s Bar located on the lungarno (next to the river on Lungarno Vespucci, 22r | Tel. +39 055 23 96 700) where they have been serving up negroni’s for over 50 years in style. Expect a more mature level of patrons. 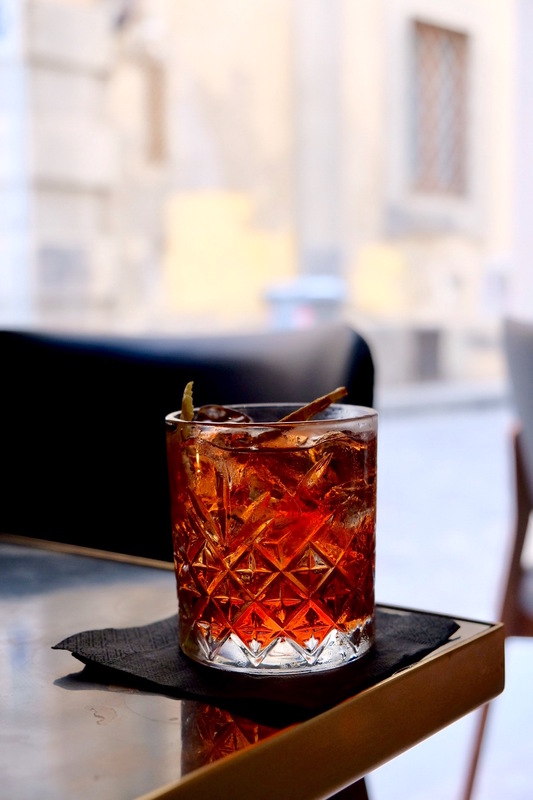 Keep it classic with a visit to historic Caffe Rivoire with a visit to the bar for a negroni cocktail by head bartender Luca Picchi who even penned a book on the subject after over a decade of research. Keep in mind that the outside terrace is significantly more expensive even if the view is stellar. Piazza Signoria. Terrace | Terrazza Bardini is a perfect place to grab aperitivo and a cocktail with a stunning panoramic view. 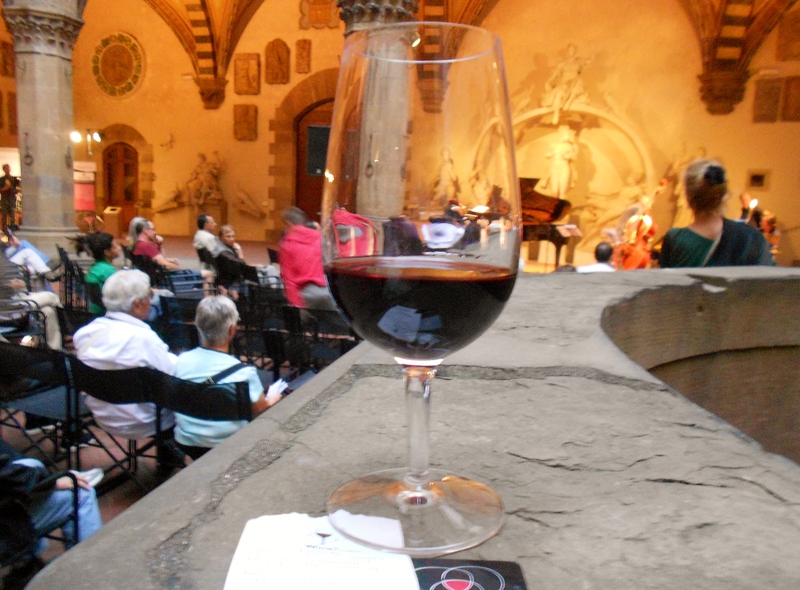 They often host musical concerts with prosecco here, worth checking out the program. Located near Forte Belvedere, it is a slightly pricier place but absolutely worth a visit. Terrace| For a swanky rooftop cocktail bar, visit Hotel Continental next to the entrance of Ponte Vecchio, vicolo dell’oro 6r. Think new age music, really good cocktails, panoramic view, and… of course too expensive. Older crowd. Terrace | Grand Hotel Cavour, This is one of my ‘terrace finds’ the drink is not as overpriced as other places, and the terrace is more intimate and cozy. Definitely a nice place for a spritz (don’t ask for anything too complicated) during the sunset hours. address: Via del Proconsolo, 3. Terrace| For an even swankier bar try the Westin Excelsior in Piazza d’Ognissanti, 3. Mixed crowd and pricey, to be honest, I do not find their drinks that impressive for the price, but the view certainly is. Terrace | Grand Hotel Minerva in piazza santa maria novella is always a nice spot for a drink (decent) with a view over one of my favorite squares in the city, plus you can get some interesting detail shots of the basilica from here as well. You can’t use the pool (restricted to guests) but feel free to head up for a moscow mule al fresco! Terrace | Biblioteca della Oblate, a favorite of local students, for those who want an awesome view of Brunelleschi’s Duomo but don’t want to pay the typical terrace view prices, this is where you want to go. Not fancy, there is a reason ‘cafeteria’ is in the name but I like taking people here. address: Via dell’Oriuolo, 24. Fancy | Since I am on the fancy hotel bar kick right now, the Four Seasons hotel in Florence (via Borgo Pinti, 99) has beautifully-crafted cocktails in their stunning atrium room. The only thing lacking here (sometimes) is a buzzing bar ambiance but they sure know how to make a negroni. Caffe Sant’Ambrogio, Piazza Sant’ Ambrogio. A meeting spot for many locals and students alike, this is pretty much the center of this happening little piazza. It’s more of a wine bar than a cocktail bar but it conveys the same message and you can hang out inside or grab a drink and sit on the steps of the Ambrogio church. Crowd tends to me mid-range, 20’s-40’s. Moyo, via dei benci 23. Close to Lochness lounge, this place is open for breakfast, lunch, aperitivo and then a cocktail bar after. I honestly prefer it more of lunch and sometimes aperitivo since at night its way too crowded, hot and awkward indoor space. Not really my scene these days but more for students. Oibo, via dei benci 53, another very “Moyo-type” local. They also offer aperitivo which isn’t bad but like Moyo, it is a student hangout. It’s nice but honestly way too crowded most of the time and their drinks are just ok and cost around 8 euros, go for a glass of wine or a beer instead. It’s is in the general piazza santa croce area. Dolce Vita is located in Piazza delle Carmine in the oltrarno area of Florence is popular with older crowds. I am a fan of their mojito! Why not have a cocktail and then..go for a swim. Seriously you can! At Le Pavoniere, a pool during the day and cocktail-bar restaurant and.. still a pool at night. I had my birthday here last year ;). 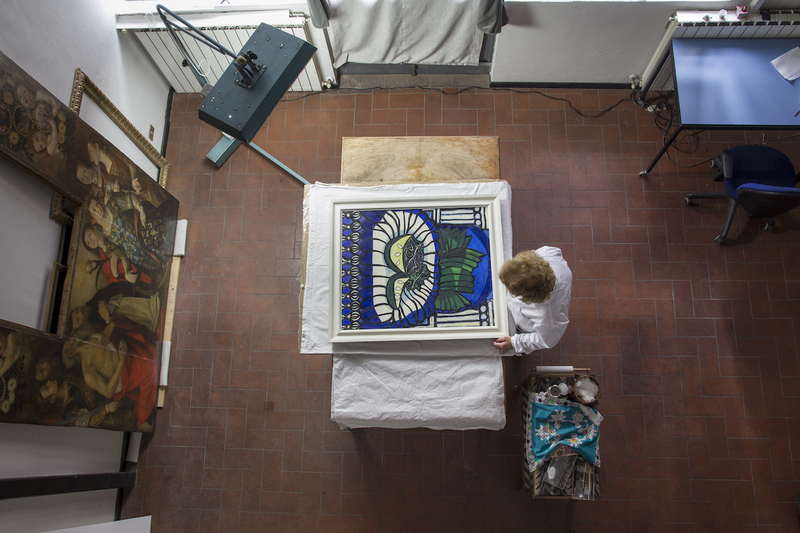 Located on Via della Catena 2, 50144 Florence, Italy. One thing I have to say is that unlike last year, apericena does not include a dip in the pool. The price for aperitivo happens to be 15 euros ( expensive ) and just a night swim costs 10 euros. Yeah.. and they now have bouncers reminiscent of “Flo”. It’s too expensive unless you JUST do the swim, in my opinion. Why of why do businesses in Florence makes these mistakes. overcharge people and yes, they will remember. Surf Ventura is a hidden away cocktail bar (very casual) with one of a kind cocktails. And I really mean one of a kind! 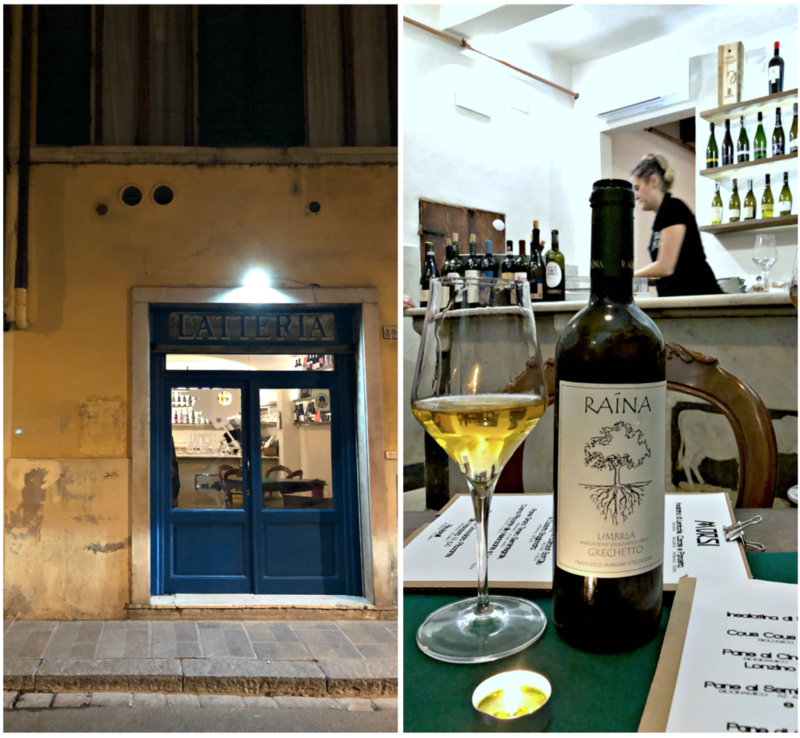 This place is awesome, unique, with basically no menu and close to Piazza ferucci, check out my post in insidersabroad about it. Backstage, bar on Via Fiesolana 8 with live music and 5 euro cocktails. It’s pretty decent and attracts more of a student crowd. Rex is a really awesome bar worth a visit even if its sort of on a hidden street in the center. Just think hipster, comfy couches, affordable and very popular on the weekends. Via fiesolana 23-35r. Great pina coladas and they also just got an upgrade. Bella Blue, is located in the campo di marte area of town is a great place to get a drink and enjoy aperitivo (Italian happy hour). Very laid back, comfy and the perfect place to enjoy a conversation and some yummy food with a friend. I like theur spritzes. A private club ( you just have to get the membership card, which is easy) called Montecarla is located in the Oltrarno on Via de’ Bardi 2, Firenze. This place is very particular with leaopard print everywhere, great cocktails and lots of plants. Weird yes, but more of an after-hours spot. If your near Piazza della Repubblica, stop by Slowly bar to flirt with the barman and get a really good cocktail. Imagine blackberry mojitos, chocolate martinis, passion-fruit, they have some quality drinks. Via Porta Rossa, 63. Older crowd. Directly in front of Palazzo Pitti is Pitti Gola e Cantina, tiny inside but also a good wine selection, this is my go to for a fancier night out or for a fabulous glass of Franciacorta. Reservations are highly recommended. Piazza de’ Pitti, 16 50125 Florence, Italy 055 212704. Dognap is located at Piazza Francesco Ferrucci, 3. Already filled nightly with Italians, it is a vintage-inspired wine bar/restaurant in a less crowded area of Florence. I have passed by a few times and have to say the ambiance looks quite nice. Uva Nera is one of the best wine bars in Florence that serves a nicely priced aperitivo every evening in a really nice, vintage ambiance. They are passionate about their wines and cheeses, plus they have private rooms where you can host your own birthday party or event for the price of aperitivo. Reserve in advance. address: Borgo Ognissanti, 25-red, 50123 Firenze. Signorvino has nabbed some awesome real estate with a bird’s eye view of the Ponte Vecchio and a cool, outdoor terrace. I wanted to hate this spot because I thought it was a tourist ripoff but actually, I really like it. They serve great salads, have a decent aperitivo and a large selection of (affordable) regional and local wines. Reserve a spot if you want to sit on that terrace. Via de Bardi, 46R, Firenze. Sei divino is undoutablly one of my favorite wine bars in Flornce. Located on Borgo Ognissanti, 42, 50125 Firenze, Italy, this place is the perfect stop for any wino looking for a refuge in Florence. I recommend buying a bottle and sharing with a few friends, their cocktails are also pretty good. A great place for a glass of pinot grigio in the oltrarno is Rifrullo. Popular among aperitivo fans and groups of Italian. They have a great closed outdoor area upstairs and a fireplace. Via di San Niccolò, 55r 50125 Florence, Italy, 055 2008155. They also do brunch every Sunday for 20 euros, buffet style. Across from Rifrullo, always in San Niccolo area, is Enoteca Bevovino, where they sometimes have live music, outdoor tables and ok wine, it’s not my favorite but I like the outdoor seating. 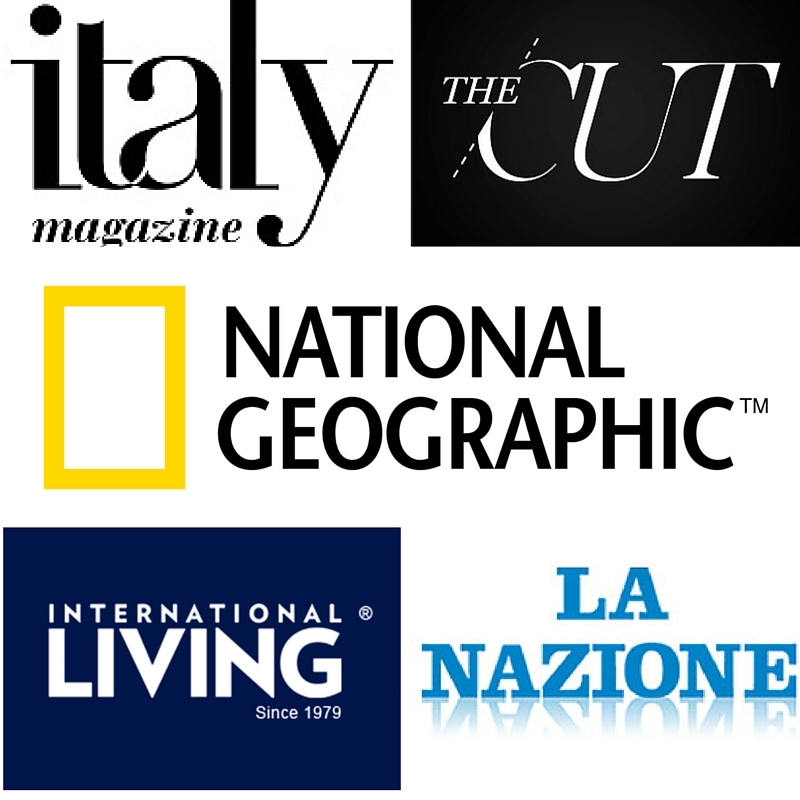 address: Via di San Niccolò, 59 50125 Florence, Italy, 055 2001709. Of course THE WINE bar that obviously deserves a mention due to their famous name, and pretty great antipasto plate is Frescobaldi Wine bar near piazza signoria. Via dei Magazzini, 2, Florence 055 284724. If your near the Ponte Vecchio, also try Le Volpe e l”uva which is pretty famous and has foi gras, salame and cheese plates and a great wine selection. Piazza dei rossi, 1 50125 – Firenze (FI). I love the hidden location, it’s very romantic. For those on a budget try All’Antico Vinaio on the historical Via de’ Neri 65. This is a place we often go to begin the night in the center of Florence. Pick up a glass and pour the wine yourself, it’s all on the honor system (roughly 2-3 euros per glass), yummy crostini and paninos. I also really like Enoteca dei Macci, very casual and cheap prices, I love their prosecco. Via dei macci, 98/r. They also do aperitivo. Hidden away in a small beautiful piazza near Palazzo Pitti is Caffe degli Artigiani in Piazza della Passera. This place is perfect for a prosecco, snacks, spritz (5€) and people watching. There is also a great geleteria in that same piazza. I just added this because I am aware that there are ‘secret’ speakeasy joints where you can revel in the fact that you found a cool spot in Florence to sip craft cocktails into the wee hours with Florentines. Shh don’t let anyone know I told you! Vanilla Club, neighborhood: Ponte Vecchio, address: Via dei Saponai, 14. 1930’s ambiance when alcohol was illegal but style certainly was not. My favorite is the moscow mule served in an oversized teacup. It’s open nightly 6pm-2am and the Italians LOVE it on Yelp. I think it’s need a little marketing love because it was pretty empty. Rasputin, the newest ‘secret’ speakeasy in the santo spirito neighborhood. I just discovered it this past week with a friend and let me just tell you, wow. Besides the fact that the ‘door’ is hidden and you feel like you’ve just uncovered a secret world of throw rugs, antiques and vermouth. This place is seriously cool! I won’t give away the address but trust me, it’s worth finding. Call to book a table+39 055 280 399. Brewdog is the place to go if you are looking for great beer in the center of town. They offer patrons a chance to try the beer before ordering and they serve a selection of their well-known Scottish craft beers. They also offer a cheap aperitivo. address: via faenza 21, Firenze. One of our favorite spots in the oltrarno side of the river, not far from Ponte Carraia is Archea Brewery. address: Via dei Serragli, 44. they have beer in bottles or tap and have a nice selection from all over the world. They are also a micro-brewery, making their own brew in the back of the shop. Ever see one of the mediocre-looking places and wonder why so many people are there? Well there usually is a reason, and the reason is that something there is awesome. This is the case for the humble Diorama bar on via pisana 78/r. A place with truly awesome beers both on tap or in the bottle and a local favorite. They also serve a small selection of food, hamburgers, ramen, that sort of thing. Young Florentines’ love Williams pub located on Via Antonio Magliabechi, 7-red 50122 Florence, Italy 055 263 8357. It is a rather large pub and they also have outdoor patio seating and cider. Public House 27, quirky name and cool pub with happy hour everyday until 9:30pm. Located on Via Palazzuolo, 27, Tel: 339/3022330. The first Irish pub to open in Florence was the Fiddler’s Elbow in Piazza Santa Maria Novella which is still a regular haunt amongst expats. They have satellite tv and offer Guinness, Harp, Kilkenny, Becks, Warsteiner, and my favorite.. Strongbow cider. For a beer during the day, stop by Mostodolce on Via Nazionale, 114 for some artisan locally made beer. They also have a location in Prato. Another Irish pub and consequentially very popular with students is Lion’s Fountain on Borgo degli Albizi, 34. People tend to grab a beer and stand outside in the Piazza with their friends. They also have bagels for breakfast. A chain of pubs called Old Stove are located near some of the main piazza’s in Florence, namely Piazza della repubblica, piazza della signoria and piazza duomo. Popular with tourists and students. One of my favorite pubs is located near Piazza Ferucci, called James Joyce and usually filled with Italians. address : Lungarno Benvenuto Cellini, 1. They have a large outdoor beer garden as well as a cozy interior. Perfect for catching up with friends. Red Garter is the oldest American bar in Italy (opened in 1962) and is a huge hit with the english speaking students and tourists. They also offer beer pong, a restaurant and often have live-music- cover bands. Via dei Benci 33-35r. Jazz club is a personal favorite, I’ve been going here for years and while it isn’t the hugest space it is authentic. You need to get the “tessera” membership card but it only costs around 6€ and it includes your first drink. Closed Mondays, otherwise open from 11pm-3/4am. address: Via Nuova de Caccini, 3, Florence 5012. La Cite, how could I forget a local institution that has fought its way back into existence. One part cafe and bar, one part live music. Highly recommend but be aware that it does get crowded on weekends. address: Borgo S. Frediano, 20/r, 50124 Firenze. All year | An oasis from the crowded center (still IN the center) is Le Murate, which is an artistic meet-up, aperitivo live-music bar in Piazza delle Murate. I really like it there since the place itself has an interesting history (the area and restaurant nearby actually used to be a prison). 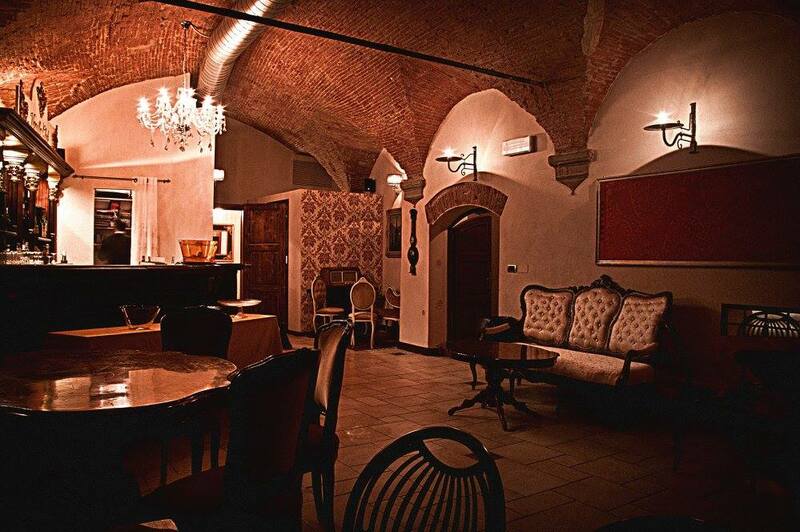 La Sala del Rosso, is a spot I have yet to visit in Bagno a Ripoli but the venue is a 13th century castle (woah). It does look rather cool though and you can visit their FB page to see more details. Concerts usually take place on Fridays. address: Via di Badia a Ripoli, 5 – Firenze 50126. In the center on Via Dei Neri is Angie’s Pub which has been here since god knows when, I just know I used to love it for its dive bar qualities! They also offer live music concerts and cheap drinks. address: Via dei Neri 35R, Florence, Italy. The Speakeasy 23. Cute spot in San Niccolo, known for the artisanal beers and live music. address: Via San Niccolò 23 r, Florence 50125. Check out their events here. La Menagere (which I mentioned above) gets a double shoutout because they have a basement area where they play live jazz music. Located in the San Lorenzo neighborhood. Check out this page to see the current lineup). address: Via de’ Ginori, 8, 50123 Firenze. Tasso Hostel in Florence is more than just cheap lodging, it has one of the quirkiest bars and concert venue spaces in the city and it is highly popular. address: 15 Via Villani, Florence 50123. Also women to a monthly open-mic night. Check out this month’s events here. Nof Club is a great (small) live music venue on Borgo San Frediano, what it lacks in space it makes up for a fun atmosphere, but it can get crowder the later you go. Ps. Happy hour is before 10:30pm ;-). RARI Firenze, new outdoor restaurant turned disco-dance pub located near Piazza Ferrucci (lungarno ferrucci 24 to be exact). This place is great! Off bar by the Fortezza di Basso, at the lago dei cigni. Cool outdoor wine bar with live music on alone viale filippo strozzi. Piazza Tasso – there is a great outdoor bar, Aurora, located in this piazza. Seriously go there, and find the wooden bar outside and order yourself the BEST mojito in Florence ;-). If I missed anything, let me know. I didn’t add places that I have never been to or just didn’t feel worth mentioning. I hope this gives people visiting or living in Florence a better idea of the various bars and pub around town. Enjoy! Great list! You’ve got to check out Angie’s Pub on Via de Neri if you haven’t been already – great Sangria and a very unique, artsy atmosphere. Highly recommend it!! Is there an area or neighborhood to stay in you’d recommend that is walking distance to several wine bars, pubs, and cocktail lounges? The entirety of Florence is quite walkable so I am very sure that if you are in the historical center you will be fine. I would look to stay in the San Niccolo, Santo Spirito or Santa Croce areas of town. Hi. Great post. I’m an older transplant (single female near 60) and one of the few things I miss about home is the having a drink and listening to live blues/jazz, or a place that plays good classic rock. I noticed in one of your other posts that you mentioned the Four Seasons (jazz on Thursdays), but if you know of anything new that has opened up that might be of interest to someone my age, please do post. Love your site; it is extremely interesting and informative!! Hi am in Florence for this weekend 2-4 Oct. Anywhere I can go with my girlfriend and her brother that you might say is distinctly Florence? Cocktails/wine bar or even a club is fine. But prefreabbly somewhere with reasonable prices and easily walkable from the centre?. Saw the post on Rari will be checking it out! Your posts have been very informative thanks! There’s a place called Jazz Club that’s on Via Nuova de Caccini. It’s kind of hidden but a really cool spot. Lots of Italians but also a bit of an international vibe. There’s a cover with a drink, at least on weekends. They have live music and it’s not your stuffy jazz club. The two times I have gone there was a dj after the band who played The Beatles, Rolling Stones, and other really fun classic rock songs. There’s also BeBop, which is known for it’s Beatles cover band nights on Tuesdays. As a student, I had a decent time on Tuesdays, but it’s MUCH more enjoyable when the place isn’t packed to the brim. One band, I think called the Rolling Johnny’s plays lots of blues tunes.